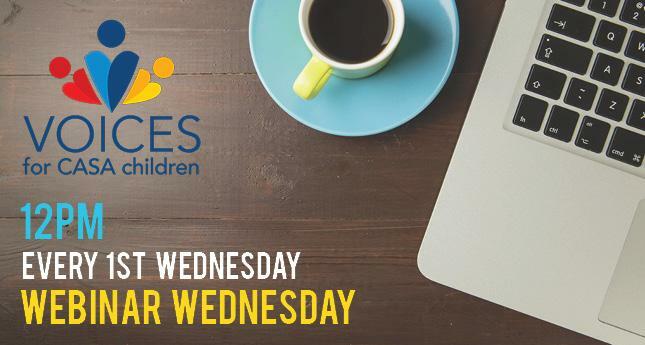 Join Voices for CASA Children for a live, online Information Session about becoming a Court Appointed Special Advocate (CASA) volunteer. The webinar begins promptly at 12pm and will last 30 minutes. Online Conference: Join the conference by clicking here at 12pm. Share this event with your community of changemakers! This is a perfect opportunity to learn exactly what it takes to be a CASA. A staff member will be available to answer questions.